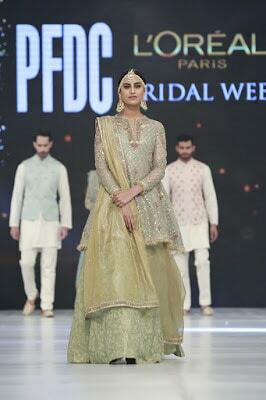 The finale of Day-3 presented by Zara Shahjahan who creates her bridal ramp debut with her traditional dresses collection as titled ‘Mehrunissa’. 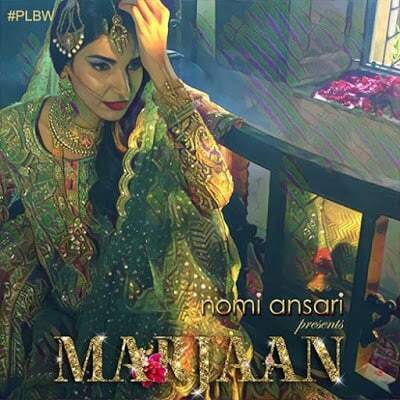 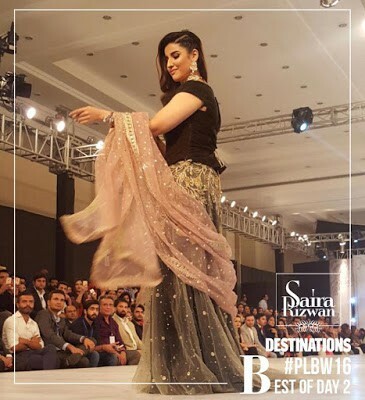 The multi-talented and very much acclaimed Pakistani Designer Zara Shahjahan is known for their elite and trendy bridal wear. 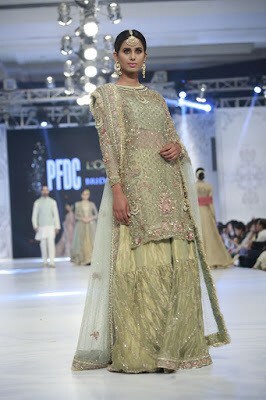 The designer presented diverse range of bridal formals, semi formals and pret clothing for all young fashion ladies. 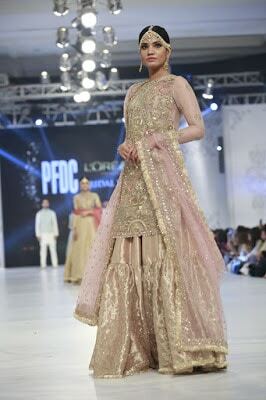 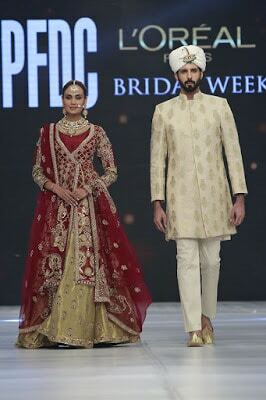 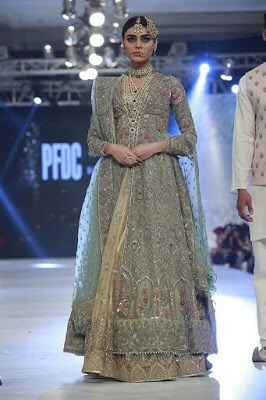 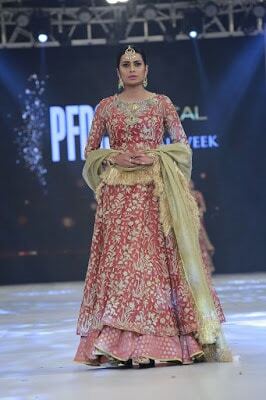 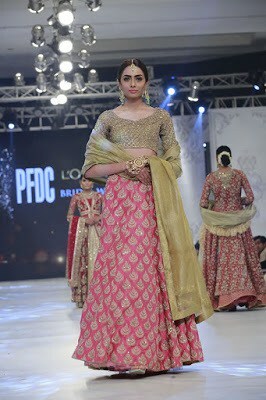 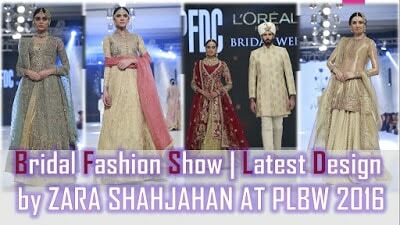 Zara Shahjahan has been presenting her marvelous collection each year at PFDC L’Oreal Paris Bridal Week. 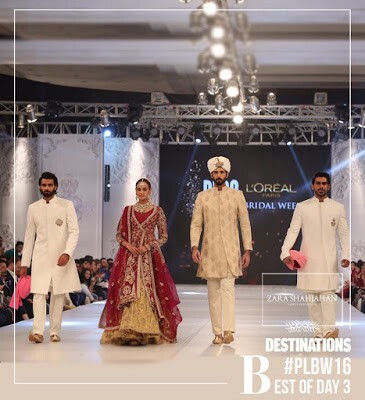 The amalgamation of dramatic colors, oriental prints heavy eastern embellishments and market a significant departure from Zara Shahjahan bridal collection. 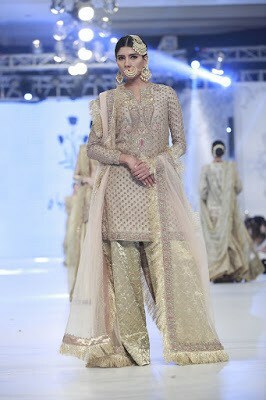 Zara choice of innovative designs set in ‘Mehrunnissa’ rich color palette distinguishes her collection from the rest. 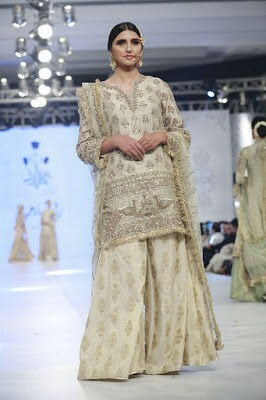 Zara Shahjahan’s collection follows old world sophistication in the gentlest of shades. 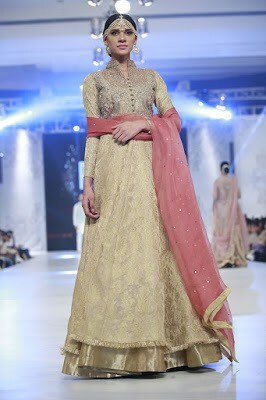 Shahjahan’s collections bright color pattern and scheme in luxe fabrics like raw silk, cotton net, trulla and jamawar. 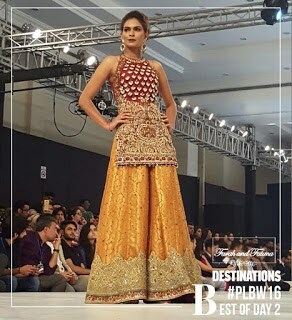 The designer has kiran on dupattas, the employ of high quality fabrics like kamkhwab and tissue, intricate embroideries and various attractive ghararas combine with knee-high shirts. 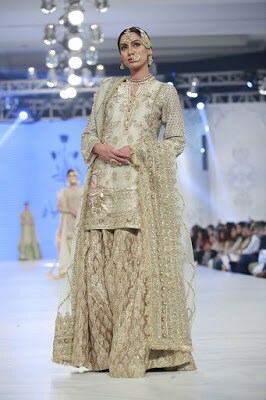 The bridals were stylish and eternal, and were an apparent reminder of our mothers’ bridal collection that is create in tissue and gold fringe pattern.